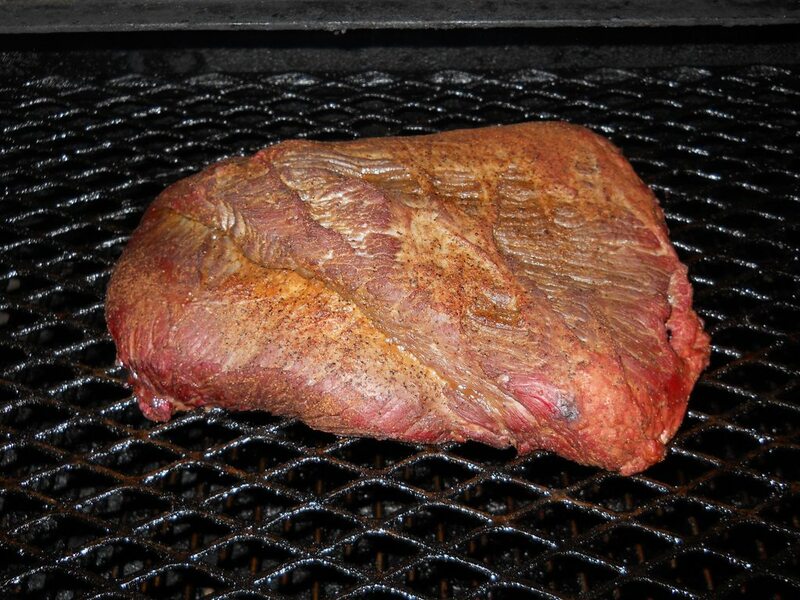 The Return... it's Bison Brisket - The BBQ BRETHREN FORUMS. School has had me very busy the past couple of months, so I've been away from the Brethren. So, here is my reboot. A friend of mine can't eat beef anymore. But bison is on the approved list of proteins. 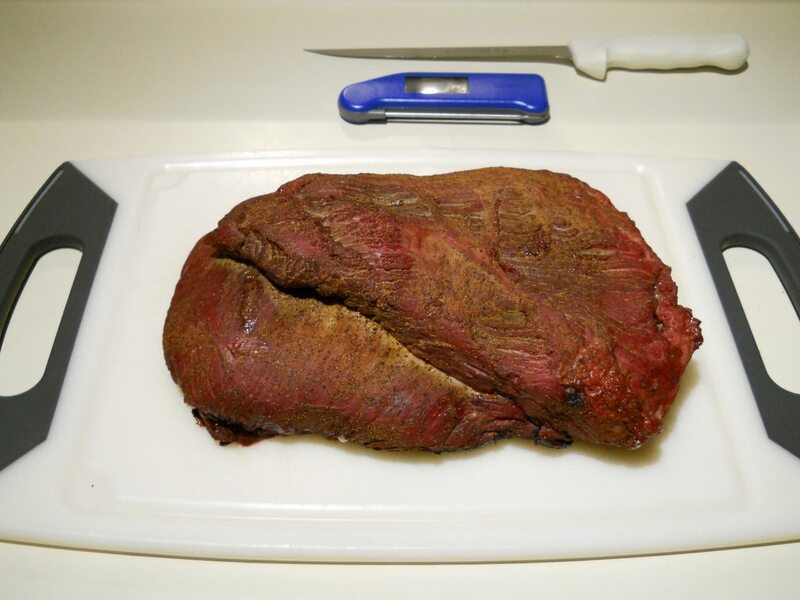 So I decided to give bison brisket a try. It's a pricey piece, and very lean. then 2 hours on the Yoder running oak at 225. Bagged and into the sous vide bath at 135 for 70 hours. I did separate the muscles before the sous vide, so they would fit in the bags. A quick sear on the BGE at 600 and then rested before slicing. Turned out incredible. Tender, tasty and healthy. If you have a local dealer and can get it reasonably priced, I highly recommend it. Most times I've seen a smoker/sous vide combo it's been sous vide first, cool/shock, then reheat on the smoker to fer the flavor...did it still have a good smoker flavor doing the sous vide second? I've done neither method so have no idea either way, just curious. It had great smoke flavor. 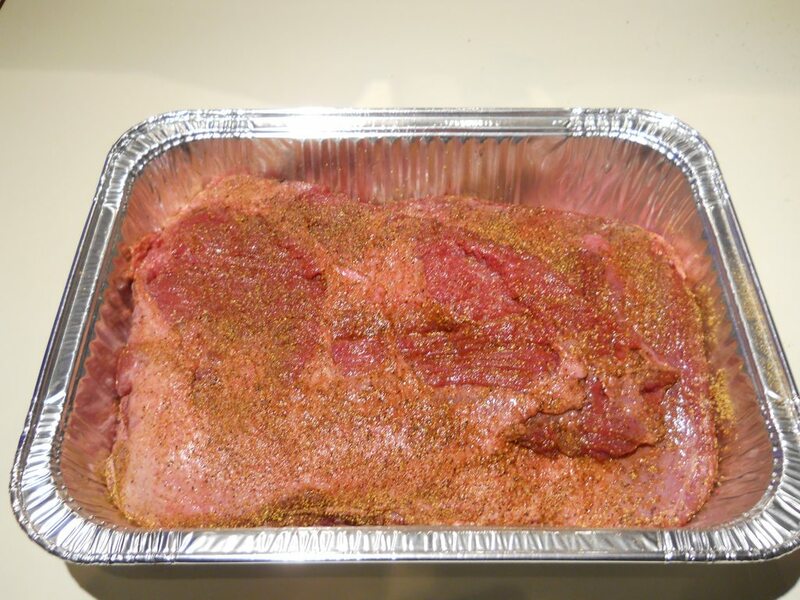 I wanted to get the smoke in the meat before bagging it. 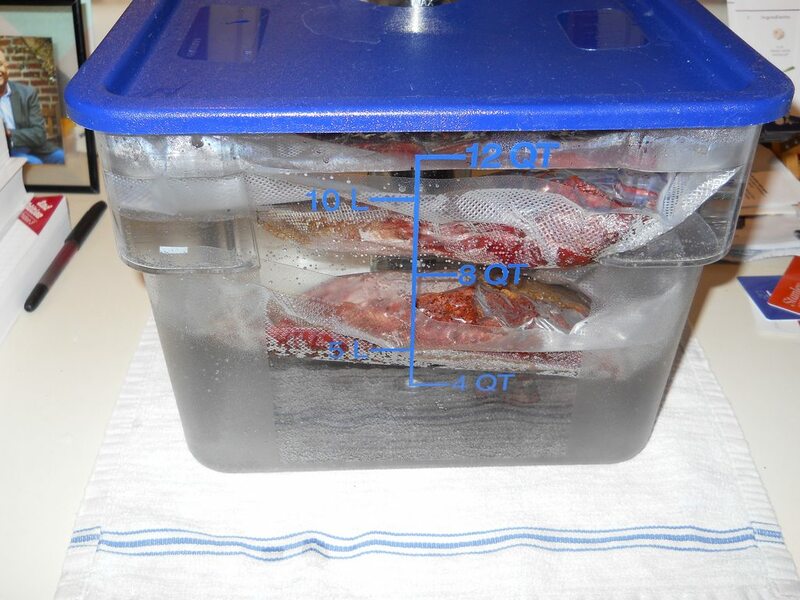 Then let the sous vide bath do the slow tenderization. The next time, I'll plan to the smoker at a lower temp (200 instead of 230) for a bit longer. Did you chill it after smoking before bagging it? 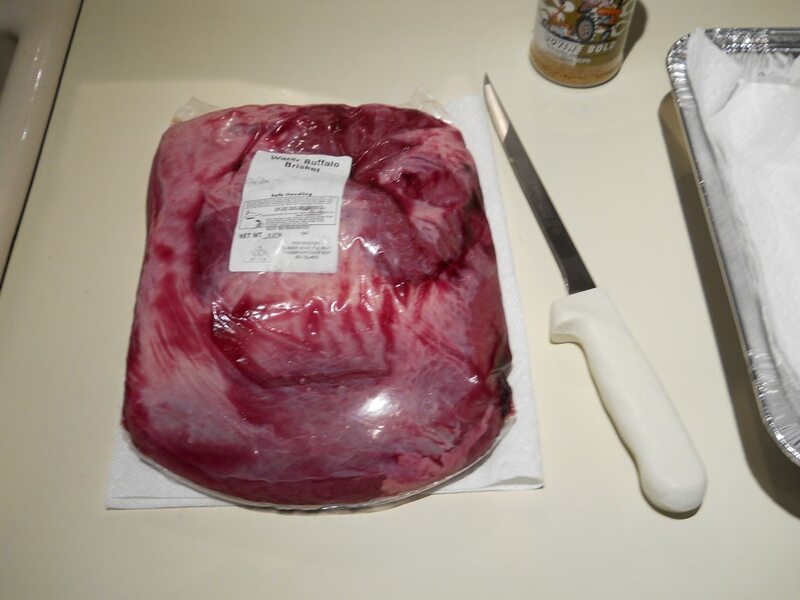 The label says "water buffalo brisket". 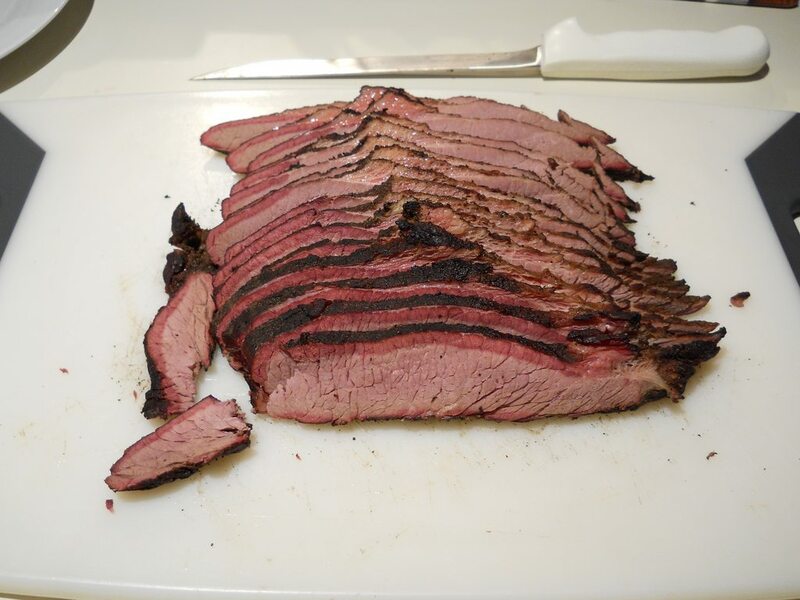 135 for 70 hrs huh...have you ran a beef brisket using those times/temps? 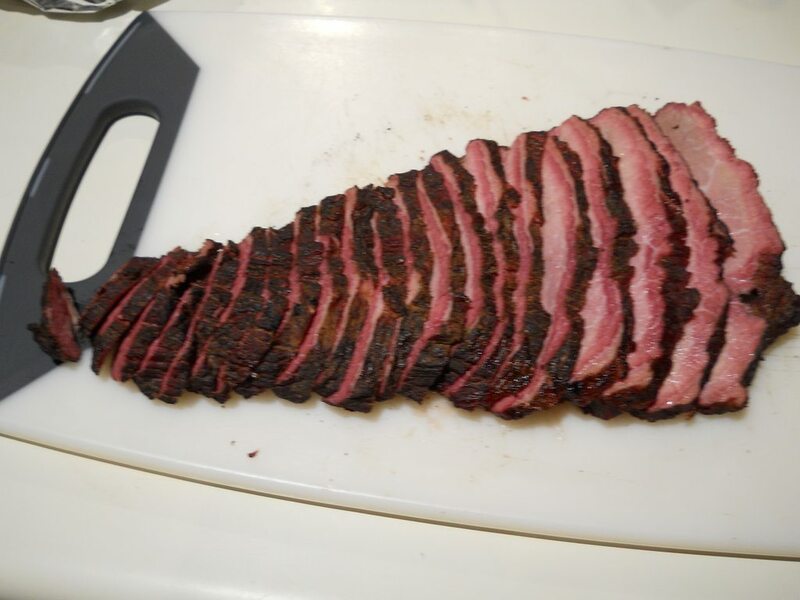 I love a low and slow sous vide cook. I didn't chill it. It cooled enough for bagging when I pulled it off the cooker. 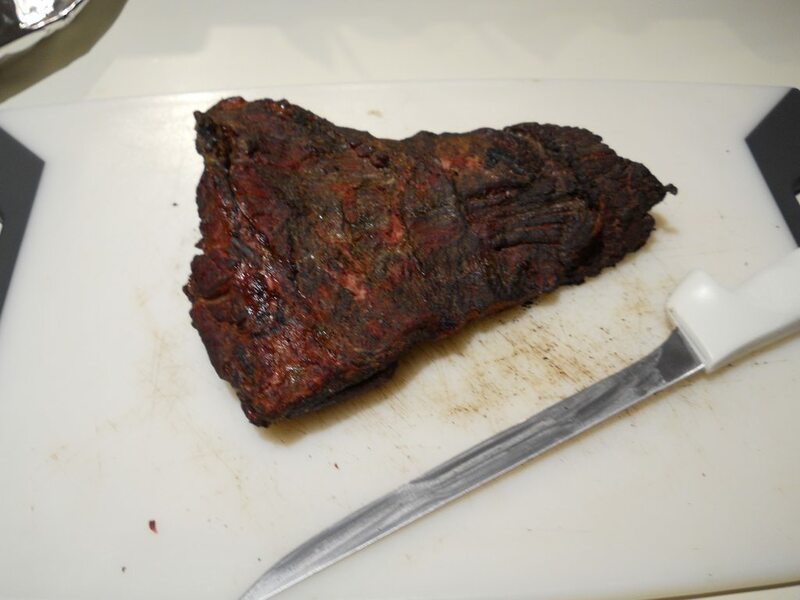 This was the first time running brisket that way, but I've done beef short ribs at that time/temp with excellent results. That's why he did sous vide.